It's easy to begin your professional education in art and design at The One Academy. We accept students from all over the globe, drawn to us because of our reputation for world-class results. You can apply online right now, or download a form to read and fill out at your own pace. 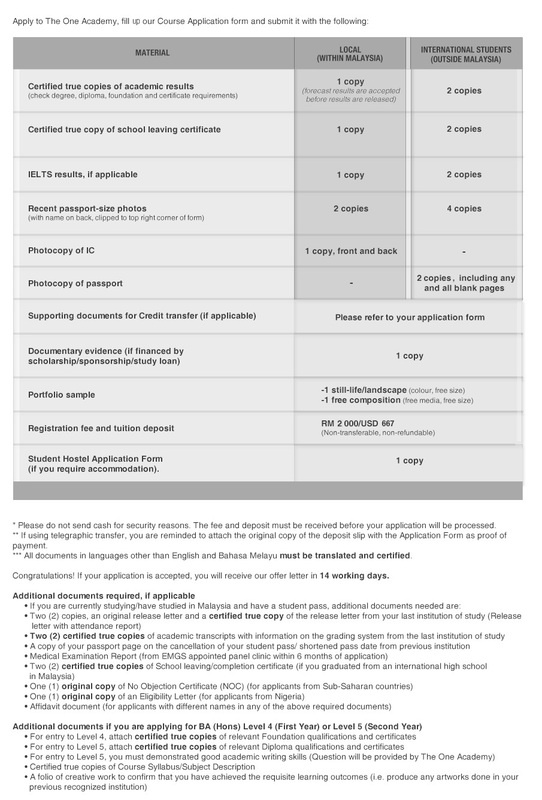 If your application is accepted, you will receive our offer letter in 14 days.If your application is not accepted, we will only refund your tuition deposit of RM 1500/ USD500. For a more detailed look at the application process, please refer to our application guide for local students and international students.